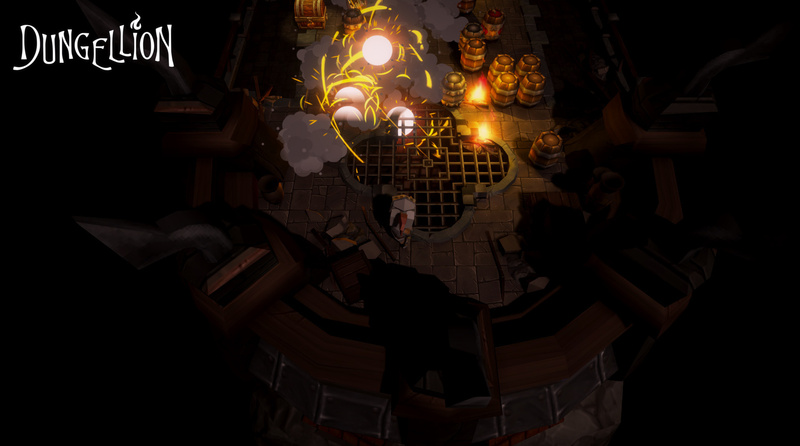 Rogue-lite with elements of Battle Royale and Action-RPG. Fight in randomly generated dungeons and find a lot of unique abilities! Become the only one who survived and go to the next stage along with the winners of other arenas. How long can you survive? “In the full version, we plan to add even more fun! Command mode 2vs2, PvE content, new consumables, dungeons, rating system, achievements, and secrets. “We will report regularly on the news of the game on the progress of the development and future plans. We encourage you to share your opinion in the official Discord channel, in the comments or on the Steam forum. If you have a suggestion to add or change something in the game - write about it, and we, as well as other players, will be able to discuss the proposal and the possibility of its implementation. Early Access is necessary for regular communication with the audience, timely adjustment of plans for the development and implementation of the best community ideas! The progress of all players is cleared. Fixed a bug due to which the server’s network connections were limited. Improved matchmaking system. Now the player can not be sent to the far stage if he has not yet reached this stage himself. Added notification if you are being transferred to the far stage. The waiting time for different stages was reconfigured in order to increase the speed of the beginning of the game for players in the early stages so that more real winners would get to the far stages rather than artificially elevated players. Added display of the number of players waiting and required for the start of the stage. Fixed a bug due to which the fights of the 3rd stage did not work, since only one player got there who had to commit suicide to continue the game. An interface bug has been fixed, due to which sometimes the icons of the received improvements could not be seen. Fixed a bug due to which shells could remain forever in the air. Required to double-check. Added display of all types of death events and leaving the battle. Added display of the number of remaining enemies. Added the ability to choose a weapon in the right hand. New items are available on every second player level. Now you can choose a character and items from the controller without using the mouse. Fixed a bug due to which the controller was not used on the battle results screen. The language of the game is now automatically selected depending on the language settings in Steam (Properties / Language). At the start of the battle now the control keys are displayed. Added display of the key for a bomb and a shield activation. In the game settings added volume control of music and sound. In the game settings, added reassignment of control keys. When you first start the game, now full screen mode is selected by default. Reworked the dungeon scene in the initial menu, as it was too demanding for low-pc. Reduced the radius and damage from the explosion of barrels. Improved the visibility of the skill icon on the pick up object. Slightly reduced the movement speed of the character and the speed of the projectiles, so that the effect of the improvements would be more noticeable. The values of some improvements were balanced. Added death of a character if you managed to jump out of the dungeon. Closed Testing of Dungellion will start on December 7th! 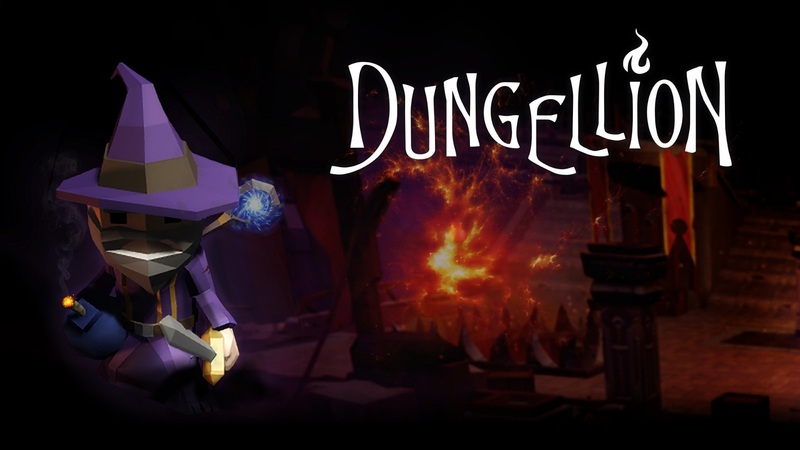 December 7th, from 9 am PST (18:00 CET) will take place the Closed Testing of Dungellion.The test session will last approximately 2 hours. Shortly before testing, or during it, you can get a Steam key to participate. No NDA! You can stream it, publish videos, screenshots and articles about the game. Keep in mind that the game is at an early stage of development and you may encounter bugs and technical problems. Report any errors found in Discord, you can also tell about your impressions and share suggestions for improving the game. Rogue-lite with elements of Battle Royale and Action-RPG, inspired by roguelikes such as The Binding of Isaac, Enter the Gungeon, Nuclear Throne. Fight against other players in randomly generated dungeons and find a lot of unique abilities! Become the only one who survived and go to the next stage with all your loot, where you will battle with the winners of other arenas. The number of stages is not limited, but the farther away - the more deadly you are and your opponents. How long can you survive? Every man for himself until the last survivor. Arenas up to 4 players. A lot of abilities that significantly affect your game and tactics. Find the rarest and create unsurpassed synergy. Randomly generated dungeons and loot. Each new game is unique. Rewards for the victory. Unlock new characters, skins, and weapons. The farther you go, the more valuable the reward will be.